Holland-Cycling.com is an internet guide to cycling in Holland. We do not organise guided tours ourselves. To help you on your way, we made a selection of the most popular guided tours offered by Dutch tour operators. The information on this page is provided by the tour operator. 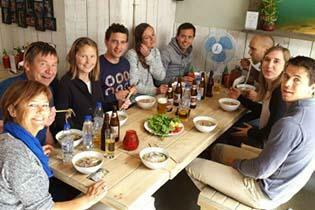 This tour is a great opportunity for everyone to explore Rotterdam in a culinary way - off the tourist track. 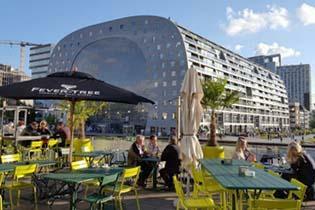 People can learn about Dutch craftsmanship, indulge in a variety of foods and experience the history of central Rotterdam. Use this form to contact the tour operator about reservations, prices and booking. Your name and email will not be used by Holland-Cycling.com to send you unwanted messages. You will receive a copy of this email. 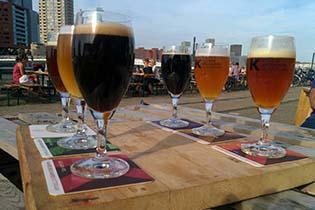 In 3,5 hours your Rotterdam food expert will take you to 7 different tastings on 7 different locations in the centre of Rotterdam. All places were hand picked for their special story and delicious food, ranging from being home made, authentic, biological, of historical value or just typical Dutch. 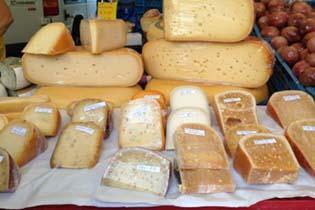 Important Dutch food such as Dutch cheese, Dutch beer and Dutch cookies are covered. Numerous interesting Rotterdam highlights and historical facts along the way will be pointed out to you and questions will be enthusiastically answered. Bring an empty stomach! The information on this page has been provided by the tour operator. Please contact the tour operator via our contact form to get the most up-to-date information. Is this not the tour you're looking for?